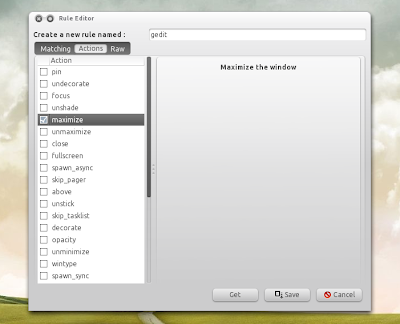 Devil's Pie ("devilspie") is an utility that lets you perform various actions on windows. While some of its functionality can be found in Compiz, there's one cool feature that Devilspie provides which is not available in Compiz (that I know of anyway): minimizing a window as soon as it's open. 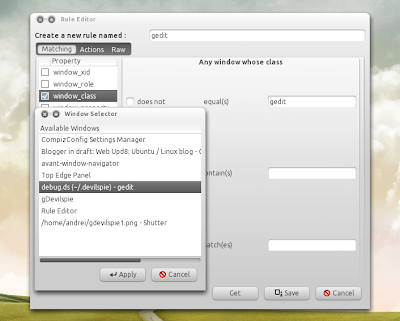 Devilspie is also very useful for those that do not use Compiz. 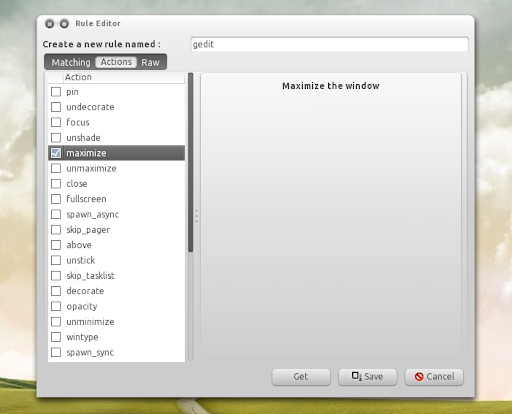 It can perform the following actions on the windows you open: minimize, move them to a certain workspace, maximize, fullscreen, unmaximize, maximize vertically or horizontally, pin (visible on all workspaces), undecorate, resize windows, set the opacity and more. 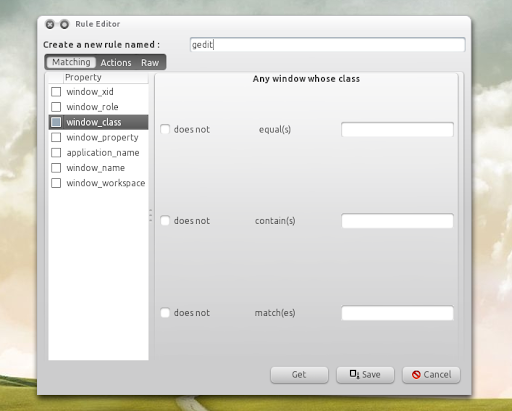 There is a GUI to configure Devilspie (see "2. 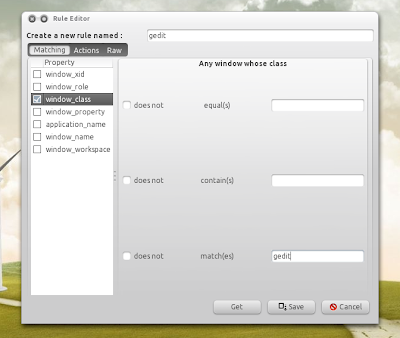 How to use Devilspie with a GUI"), however I've started with the manual way of doing this so you'll understand how it works. Now when you start Devilspie in a terminal, it should output the window class, name and so on for every running window / application. For more info, visit the Devilspie documentation page. "set_workspace" only works with Metacity. 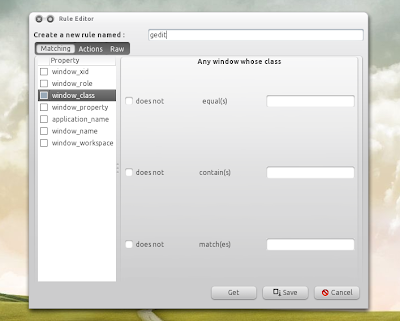 If you want to do while using Compiz, use "set_viewport" instead of "set_workspace". 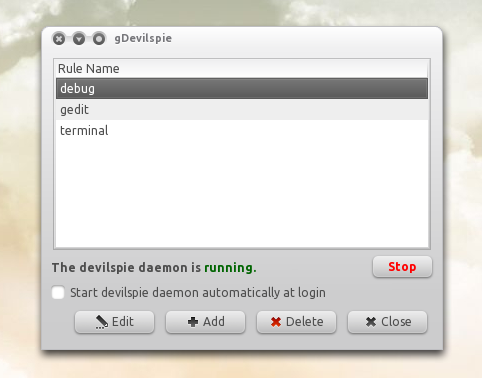 Using gDevilspie you can start or stop Devilspie, set it to start automatically at login, add window rules, get a window name, class and so on automatically and assign actions as well as directly paste the code.